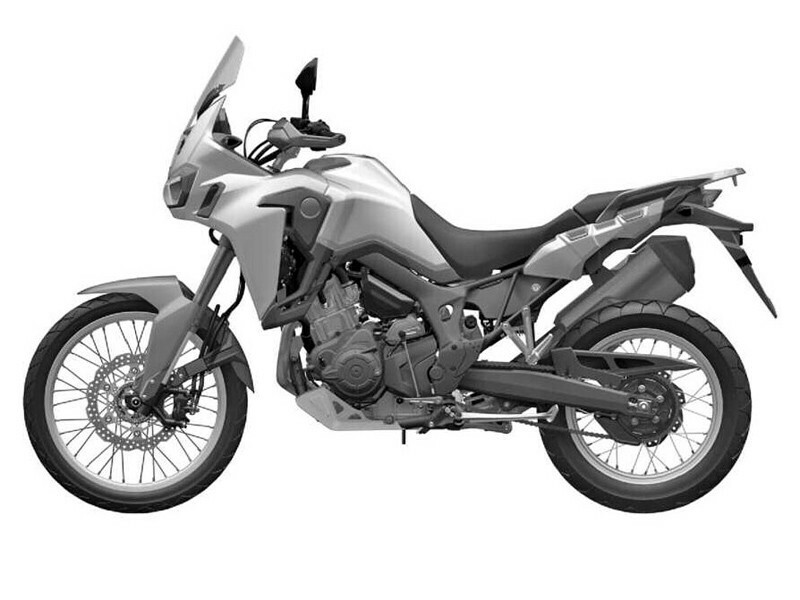 Further details of Honda’s new 1000cc adventure motorcycle featuring an all-new, compact parallel twin engine with 70kW power and 98Nm torque. Engine packaged in compact, lightweight frame to offer outstanding off-road performance, touring comfort and agile handling for everyday use. New DCT functionality, switchable ABS and multi-mode HSTC available for optimal traction both off and on-road. Four color schemes to be available including CRF Rally and Tricolor. First studio and location photography. July 24, 2015 – Honda is pleased to announce further technical details of the new CRF1000L Africa Twin, which will be in Honda showrooms across Europe in late 2015. Like its celebrated forerunners, the CRF1000L Africa Twin is thoroughly equipped for true adventure, with a potent engine and dynamic chassis ready to cover continents on or off-road. The engine’s short height contributes to the CRF1000L Africa Twin’s excellent ground clearance – another prerequisite for a true adventure machine. It also uses clever packaging of components to both dynamic and aesthetic effect. The water pump is housed within the clutch casing, and the water and oil pumps are driven by a shared balancer shaft. Further reducing engine size is the lower crankcase design, which stores the oil and houses the pressure-fed pump. A steel semi-double cradle frame provides the perfect balance of high-speed stability – also while fully loaded – matched to genuine off-road ability, agility and sheer strength. Mass centralization – with items like the battery packaged at the rear of the cylinder head – contributes to a low centre of gravity. The long-travel Showa inverted forks are fully adjustable and feature dual radial-mount Nissin four-piston brake calipers and 310mm ‘wave’ style floating discs. The Showa rear shock has hydraulic spring preload adjustment. Like the CRF450R Rally, the CRF1000L Africa Twin uses 21/18-inch front rear spoked wheels, wearing 90/90-21 and 150/70-18 tires. Following its design theme of “unlimited adventure”, the Africa Twin is styled with minimum bodywork in a tough, lightweight form that offers both weather protection for the rider and a slim, agile feel. Dual headlights maintain the original’s signature presence and the seat height adjusts 20mm to either 870mm or 850mm. A large 18.8-liter fuel tank – coupled with the engine’s fuel efficiency – provides a range of up to 400km. The CRF1000L Africa Twin will be available in four color options: CRF Rally, Tricolor, Silver and Black. Brakes Rear 256mm wave hydraulic disc with 2-piston caliper (*ABS) and sintered metal pads. Also Lever-Lock Type Parking Brake System on DCT model.